On your drive or in your garden! For your children and the pets! What would do in your garden then? DOES YOUR PATIO BECKON YOU? To sit down and relax and unwind? 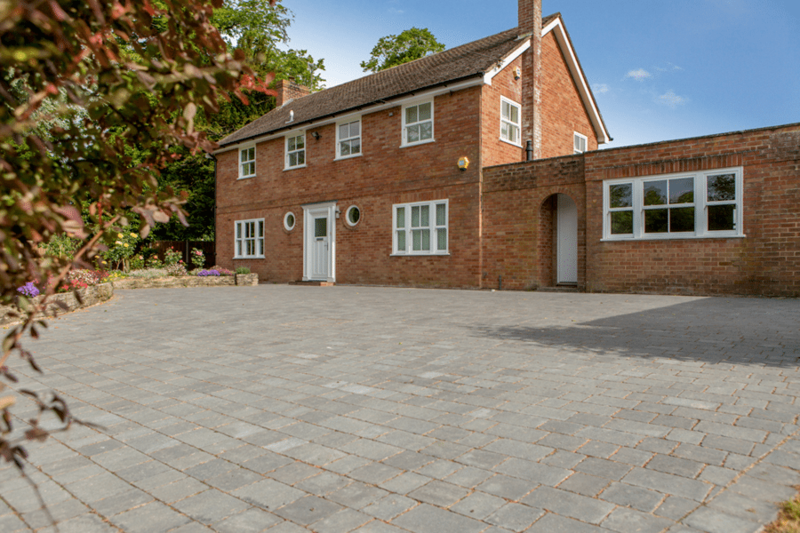 We install block drives & driveway that add a timeless elegance to the exterior of your Leeds home! Specialising in styling individually designed block drives, driveways, patios, walling and walkways for domestic or commercial properties. We work with a selection of materials from block pavers and natural sandstone, granite, limestone and slate. Driveways By Design create exceptional block drives & driveways for residential and commercial developments within the Leeds area. Our block drives and patios are individually designed to blend with the age and style of your property and surrounding gardens. We provide a full hard landscaping service from initial design to completion. This can include all design and planning work, hard landscaping, electrics where required, planting and maintenance. We will manage your design and are happy to co-ordinate any sub-contractors involved on your behalf. Established over 22 years ago, we have a large portfolio of projects from small walkways to providing a total hard landscaping solution for large properties. The products we use for our designs are from top manufactures such as Marshalls, Plaspave, Stonemarket, Bradstone and Brett to name a few. We hope this will give you an idea of the quality of our block drives, driveways and patios we can provide for your home or business. If you like the look of our work, please contact us for our advice and to arrange for a no obligation free quotation. Our Portfolio is updated on a regular basis so check back soon for more new patios and driveways within the Leeds area. Since 1994 we have been trading as Driveways By Design Leeds and in which time have built a loyal customer base that can be confident in the knowledge that only the highest quality products have ever been used in the construction of their unique block drives. Driveways By Design Leeds have many years of experience in installing stone, granite and concrete flags. They are able to guide you to the correct material for your applications, offering natural stone flags and block pavers suitable for both driveways, paths or patios. Driveways By Design install different types of garden paving including patios, paths, circle features, resin features and steps to completely transform the look of your home. Every paved area we install is uniquely designed to match your requirements. Fences serve several purposes for your property. An attractive fence can not only keep pets & children in your garden, but are also a beautiful way of marking property boundaries, giving privacy from neighbours and as well as complimenting your existing garden. Every project is different but the steps we take follow simple rules as detailed below. The end result is always the same, a wonderful drive oroutdoor space that will enhance you property that you can enjoy for mane years to come. My self (Richard) will visit you to discuss your wish list and view the site. We can suggest design ideas and possible materials to use which will work with the style of your house and enhance it’s appearance. This is the exciting part when you see the design start to come together. Please be warned that as work progress it can sometimes look worse before it gets better! Trust us, the finished work will meet all your expectations. We believe we are the most competitive driveway installer in Leeds? Follow the link below to see the average price for a new block driveways in Leeds and the whole of the UK. It also give costs for landscaping and a lot more. Make sure your getting what you’re wanting and at the right price!